What causes a reaction to an insect bite? Many people and pets are sensitive to the proteins contained in the saliva or venom of many biting insects. They may be born with certain sensitivities or, more often, they may develop sensitivities if they are exposed numerous times to a particular insect bite. Bee stings and the bites of spiders, fleas and ticks are the most common causes of insect bite reactions in pets. What are the clinical signs of an insect bite reaction? The most common clinical signs associated with an insect bite reaction include swelling and redness at the site of the bite, "hives" or multiple red, raised swellings over the body, a swollen face or muzzle, difficulty breathing and vomiting. Some patients will progress to severe respiratory distress and anaphylactic shock. How is an insect bite reaction diagnosed? Diagnosis is based on clinical signs and history. In certain cases blood samples will be analyzed looking for the presence of eosinophils, the immune cell associated with many allergic reactions. Venomous spider bites such as the brown recluse often have slowly progressing, insidious clinical signs. Dark, necrotic (dying) tissue lesions that slowly spread are often the only clinical sign. Brown recluse spider bites often ultimately result in systemic shock and can lead to death. Fortunately, most spiders in North America are non-venomous and cause only localized pain and swelling. How is an insect bite reaction treated? Treatment is based on the type of insect bite, the number of bites and the severity of clinical signs. Treatment typically consists of removal of the stinger or other insect parts, followed by administration of anti-histamines, epinephrine (adrenaline), and anti-inflammatory agents such as corticosteroids as indicated. In patients that progress to systemic or anaphylactic shock, supportive measures such as intravenous fluids, corticosteroids, oxygen therapy and epinephrine are often required. In these severe cases, electrolyte levels will be monitored and a urinalysis will be performed to evaluate urine output and kidney function. What is the prognosis for insect bite reactions? Except in rare cases of anaphylactic shock, the prognosis is excellent. 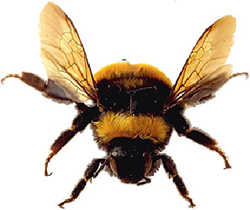 Cases that involve tens to hundreds of bee stings merit a more guarded prognosis. "Many pets that demonstrate insect bite hypersensitivity are also hypersensitive to flea and tick bites, pollens and molds, and many foods." Future insect bites should be avoided because many reactions worsen with repeated exposure to the offending proteins or toxins. You should always tell your veterinarian if your pet has ever experienced an insect bite reaction so that preventive measures can be taken in the future. Many pets that demonstrate insect bite hypersensitivity are also hypersensitive to flea and tick bites, pollens and molds, and many foods.